Yonkers, in the state of New York. A decision of the Federal Court requires the city to build public housing in the White area of the city. 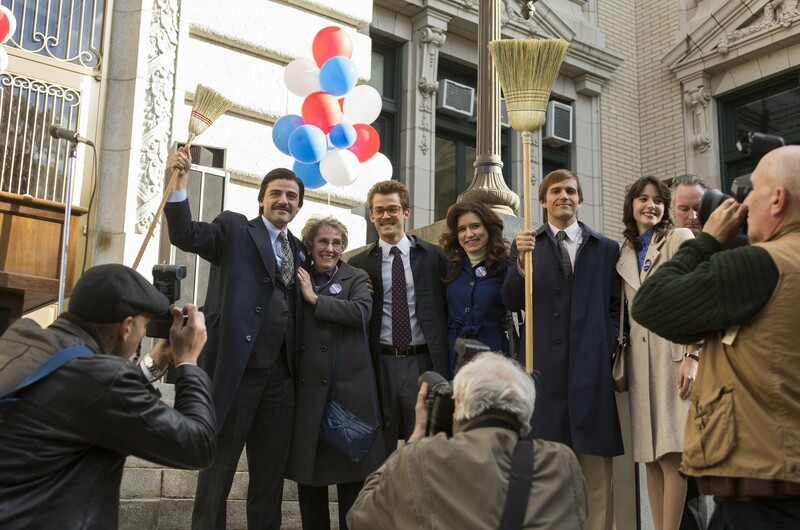 The mayor in place (Jim Belushi) takes note of this decision but his pragmatism will make him lose the elections: by promising to oppose himself to this decision, the young Democratic politician, Nick Wasicsko (Oscar Isaac), will be elected and will become the youngest mayor in the United States. But soon, the efforts of the new mayor to challenge this decision will prove vain and the city torn apart will paralyze the council. After Iraq (Generation Kill), the war against drugs (The Wire) and the years after Katrina (Treme), the writer and producer David Simon continues to talk about the ills of United States, through the very sensitive issue of public housing and integration. Let’s now discover the 6 reasons why you’ll enjoy to see this series. © Paul Schiraldi / 2015 Home Box Office, Inc. All rights reserved. HBO ® and all related programs are the property of Home Box Office, Inc.
Based on true facts reported by the New York Times reporter, Lisa Belkin, in an eponymous essay, subtitled The story of an urban tragedy – and of revolution housing that is changing America’s neighborhoods, Show Me a Hero will place you during six episodes in the heart of the debates that have torn the city apart on public housing. 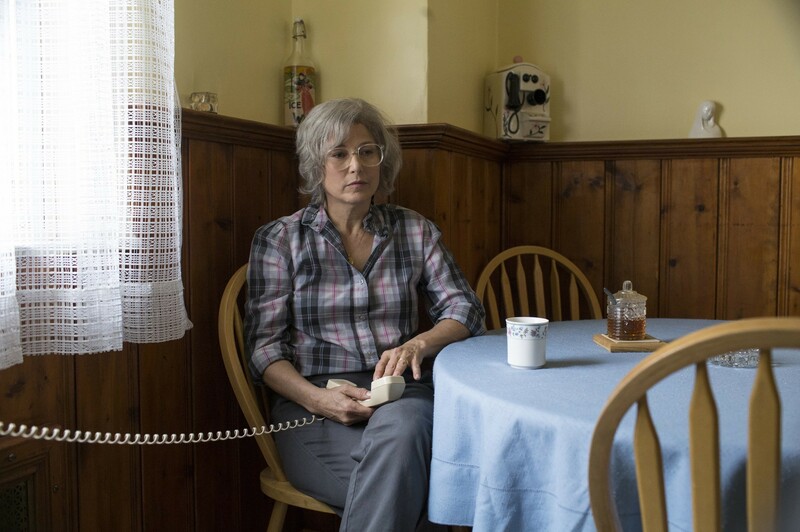 and the other, a middle class frightened of change that could bring sudden mix – although it’s relative – in their neighborhood which it sums up by Mary Dorman, one of the worried home owners played by the subtle Catherine Keener: “I just think you shoulds not take people with one lifestyle and uh … put ’em smack in the middle of a site with a different lifestyle”. What is fascinating in Show Me a Hero is that for a relatively long time, only the White middle class is involved with virulence and concern in the debate. For Hispanic and Black poor people, that possibility of improving their everyday life seems far away from them. That’s why we have this ironical scene at some point in the series where some of them finally demonstrate for the construction of public housing in front of a Mary Dorman – representing the least extreme wing opponents – discovering them for the first time. This short but intense scene brings the two communities together for the first time. In the first episode, a car stops, Nick Wasicsko comes out, vomits, moves away towards cemetery, stops near a tomb, takes a breath and looks away. In these first images, the tone of the series is given: “show me a Hero, and I’ll write you a Tragedy” (F. Scott Fitzgerald). After this prologue, the music of Bruce Springsteen – the song Gave It A Name from the album Tracks – is playing on a succession of images of a popular and degraded neighborhood. What a wonderful choice to take Bruce Springsteen “The Boss” songs in order to talk about the ordinary American and undermined American dream ? 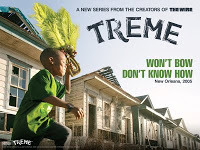 After the rich music of New Orleans in Treme series, David Simon continues to use music to accompany his eyes on his America. But even with the Boss help, Nick Wasicsko will perhaps not be the hero hoped by the title of the show. © 2015 Home Box Office, Inc. All rights reserved. HBO and all related programs are the property of Home Box Office, Inc. 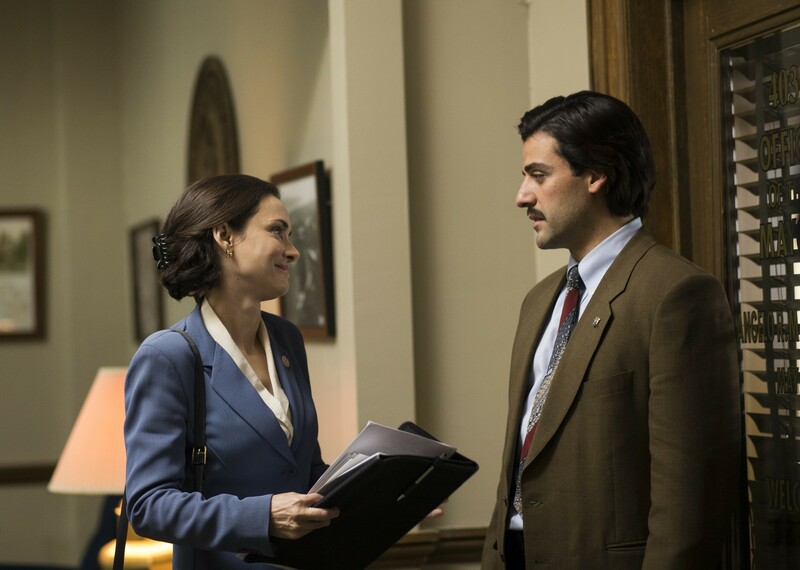 The young mayor is played by Oscar Isaac, who wears the 2015 sad mustache as Colin Farrell in Season 2 of True Detective – a detail humorously noted by Time’s journalist James Poniewozik: “between Isaac and True Detective‘s Colin Farrell, 2015 is becoming The Year of the Sad Mustache”. 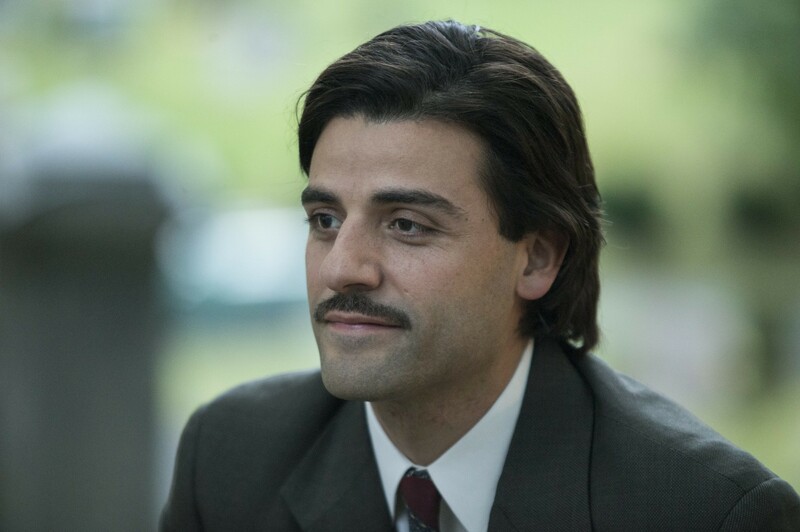 If Show Me a Hero joins the list of choral series by David Simon, Nick Wasicsko is not so prominent as character like Jimmy McNulty in The Wire or Albert “Big Chief” Lambreaux in Treme but is more a character like Abel Morales in A Most Violent Year (2014). In a scene, Wasicsko is exercised in front of a mirror to express in the most neutral way possible in order to defuse conflicts. He is not a leader like Martin Luther King (Selma) or other but just an idealistic, inexperienced and largest consumer of antacid Maalox young mayor. If he is fighting for the future of his city – the accumulation of fines for non-compliance with a court ruling can drive the City to bankruptcy -, he is doing it with the risk of losing everything (family, career): “a lonely job”, tells one of the characters of the series. At the top of the opposition and his lowest position in the opinion, Nick Wasicsko is pushed and shoved, his windshield is broken and he is also insulted by an angry crowd. It’s impossible to discuss and to make the Democratic machine to keep going in municipal councils where opponents vehemently prevents discussion. One of the episodes parallels, and not without a certain irony, the fear of poor people to change neighborhood and the one of the middle classes to see their neighborhood change. So what is really plays is the fear of the Other, the one you do not know. 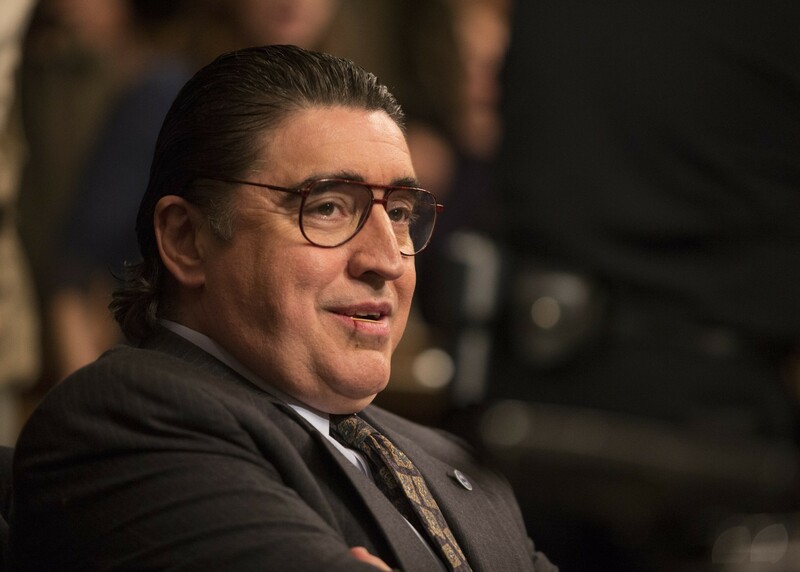 Fear that some politicians – including one played by the great Alfred Molina and his inseparable toothpick – do not hesitate to use – by pushing somebody drug dealers forward in these neighborhoods instead of its ordinary inhabitants – to satisfy theur political ambition. With a partitioned City like that, we are seeing less participatory democracy than those still unbearable political manipulation. As always, a David Simon’s series adopt its own rythm. Paul Haggis’ direction and the writing of David Simon and his co-writer William F. Zorzi (The Wire) take their time to describe each character (the dealer who wants to hang up, the old mother who loses her sight, the home owner who fears the arrival of the diversity in his neighborhood but wonders if there is really a danger…) and show us the human struggle with the decisions of instutions and the uncertainties the future. Clarke Peters (The Wire, Treme), the Lester Freamon from The Wire, who plays here a consultant hired to prepare low-income citizens to be prepared to their new lives in their new neighborhood: “You wanted to live somewhere better. But everything has a cost”. And of course… Wynona Ryder (Edward Scissorhands, Alien Resurrection) who we are happy to see again. Lost from sight in the early 2000s, the star of the 90’s is back with more ambitious projects in recent years (Star Trek, Black Swan). 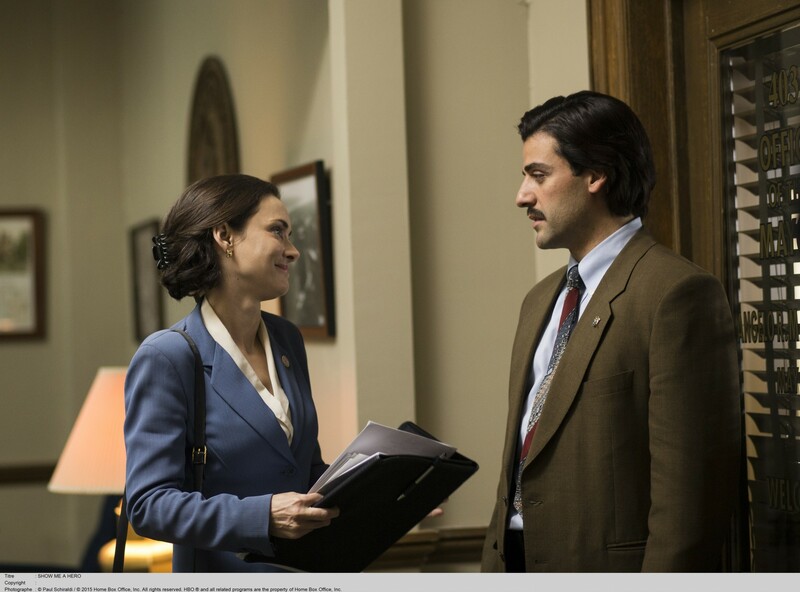 In Show Me a Hero, she plays a President of City Council in favor of integration. With the little glamor of public housing subject, Show Me a Hero is a series that certainly will not reach the audiences of Game of Thrones or True Detective. Indeed, David Simon is one of those rare authors able to offer a demanding work despite low audience ratings and the format of 6 one-hour episodes will surely allow him to continue. At the end of the 4 episodes of Show Me a Hero seen by Bulles de Culture, public housing problem seems resolved after the contruction of the first public housing. However an incident at the end of episode 4 will temper this impression. 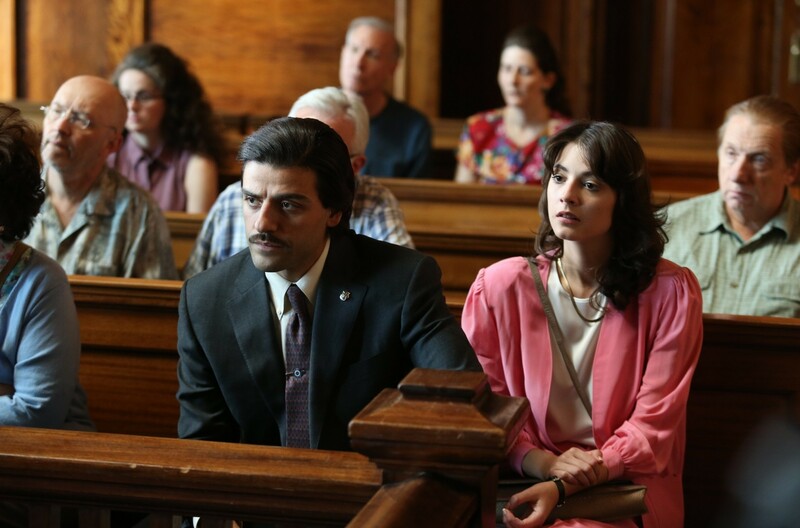 So does this already written story – literally as well as figuratively – will be concluded by David Simon with a note of hope? The bets are off. Fascinating and improving tale, Show Me a Hero is a miniseries that will be far from leaving you indifferent. [REVIEW] Fed up of vuvuzela? 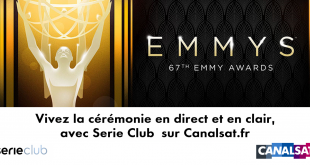 Test “Glee”!